Welcome to the BoaMorph Genetics and Paradigms Page! Whether you are looking for basic genetics information, how to determine the expected offspring from a particular breeding trial, or how the genetics behind the Paradigm trait work, this is where you will find it. The Paradigm boa was first produced in 2004 and introduced to the world in September, 2006 by Mike Weitzman at Basically Boas. 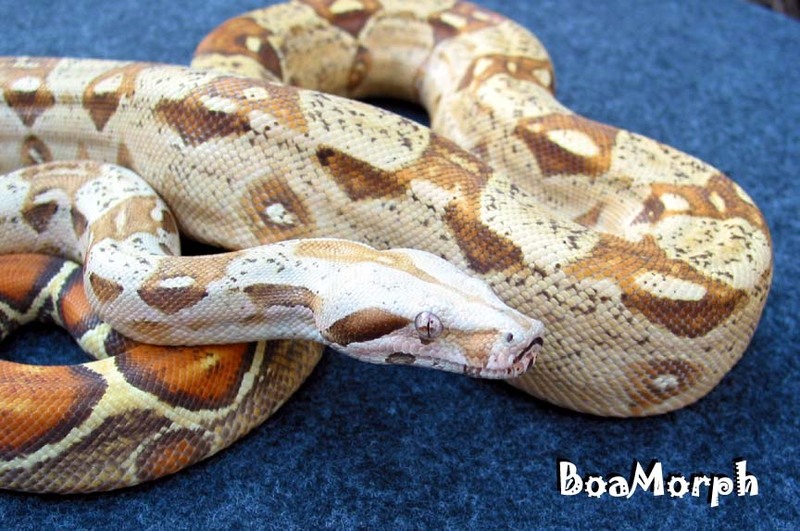 The breeding trials performed by Mike during that period demonstrated that the genetics behind the Paradigm trait were unlike those of any other visual trait observed in boas to date. Here you will find a thorough explanation of the genetics of the Paradigm boa, starting with a basic genetics refresher, and concluding with detailed analyses of increasingly complex multi-trait crosses involving Paradigm boa genetics, some of which involve boas that don't even exist yet! The genetic analyses are presented using the classical Mendelian notation that the vast majority of reptile breeders and hobbyists are most familiar with. Modern geneticists use a different notation style that is advantageous in dealing with certain complex genetic issues. However, even now most college-level texts present introductory genetics using Mendelian notation. Given the relatively simple nature of the genetics governing the visual traits identified in boas to date, the more familiar notation of Gregor Mendel (Mendelian notation) will serve us adequately. Please use the links below to jump to the topic of your choice, or start with the "Basic Genetics Refresher" page and follow the links from page to page to view them all in order.